White cedar ‘Brabant’ or thuja occidentalis ‘Brabant’ is a very popular, fast-growing hedging conifer of compact habit. Its brownish branches bear flat sprays of aromatic, almost pineapple-scented, scale-like leaves. Its foliage has a fresh, yellow-green colour that will stand out in any garden. The popularity of this evergreen hedging plant is largely due to its growth habit and soil preferences. White cedar ‘Brabant’ has a very compact growth habit and forms a dense wall almost immediately. As a bonus, it requires very little maintenance, as it does not grow very fast. Thuja occidentalis Brabant will grow 20 to 30 centimetres per year on average, which is still pretty decent, especially if we take into account the fact that both younger and older plants have a dense growth habit. This quality makes the white cedar ‘Brabant’ a very useful alternative to other popular hedging conifers, such as the common yew or taxus baccata. Young taxus baccata plants grow faster than this white cedar cultivar, but they also have a relatively open growth habit during the first few years after they have been planted. If immediate privacy is what you are looking for, a white cedar ‘Brabant’ hedge would be a very good choice. For the fastest results, you can plant an instant white cedar ‘Brabant’ hedge in your garden. Their slow growth rate makes them easier to deal with than other evergreen conifer hedges, such as Lawson’s cypress or Leylandii hedges, and its charming foliage makes a white cedar ‘Brabant’ hedge a pleasant addition to any garden. The native range of the natural form of thuja occidentalis is the east coast of the United States and Canada. This may be somewhat confusing to anyone who speaks Latin, as the word “occidentalis” means “western” and it is in fact the closely related western red cedar or thuja plicata that can be traced back to the west coast of the same continent, as the common English name of that particular species explains. 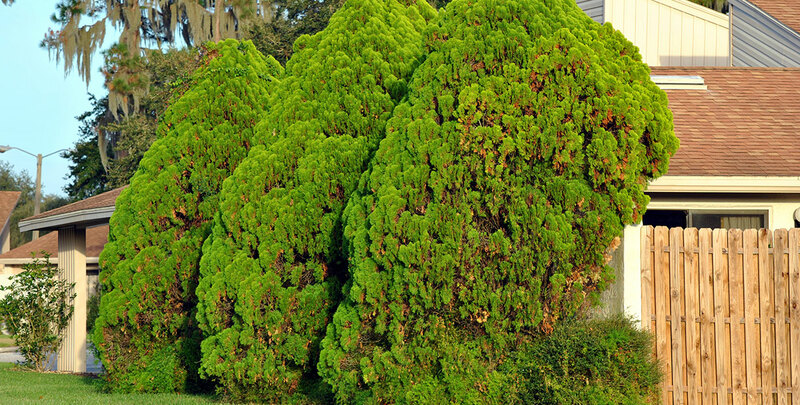 To add to the confusion, neither of these evergreen hedging conifers actually belong to the same genus as most other cedars, but are rather a member of the cypress family. This makes these species the only plants referred to as cedar that are suitable for hedging in the British climate. The fact that the white cedar ‘Brabant’ is able to survive the British weather is the ultimate evidence of how tough and hardy this popular thuja cultivar is. It is also very versatile when it comes to planting positions and soil types, with the only real issue being caused by the fact that it is somewhat prone to drying out. This can easily be avoided by some additional watering during periods of prolonged drought. Of course, with white cedar ‘Brabant’ being a conifer, excessive watering should also be avoided, as conifers generally do not like it if their feet get wet. The dawn redwood is the only exception to this rule. 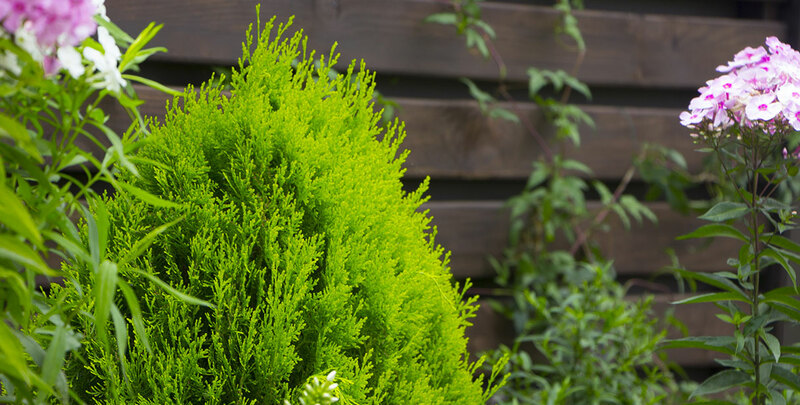 In addition to being great for hedging, thuja ‘Brabant’ is very tough and undemanding, tolerating a wide range of positions, conditions and soil types. 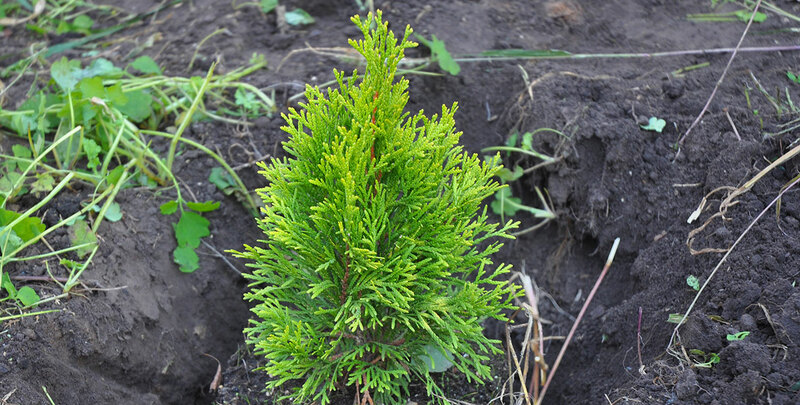 Although this white cedar is happy growing almost anywhere, it will benefit from being planted in a soil that is rich in organic matter and preferably slightly acidic. This means that is a good idea to enrich the soil with some organic matter or well-rotted manure, but this is not required. This easy-going plant favours a position in the full sun to partial shade. Waterlogging should definitely be avoided, as is the case with most conifers, but it is necessary to keep the saplings moist until they are established. White cedar ‘Brabant’ can be trimmed as desired. Some people choose to plant this white cedar cultivar in their gardens as a specimen tree and keep the upkeep to its bare minimum. This will emphasise the ornamental value and the conical growth habit of the species, but those who are looking for a neat, white cedar ‘Brabant’ hedge are best off pruning the plants at least once a year. Luckily, it is quite easy to prune this attractive hedging conifer. 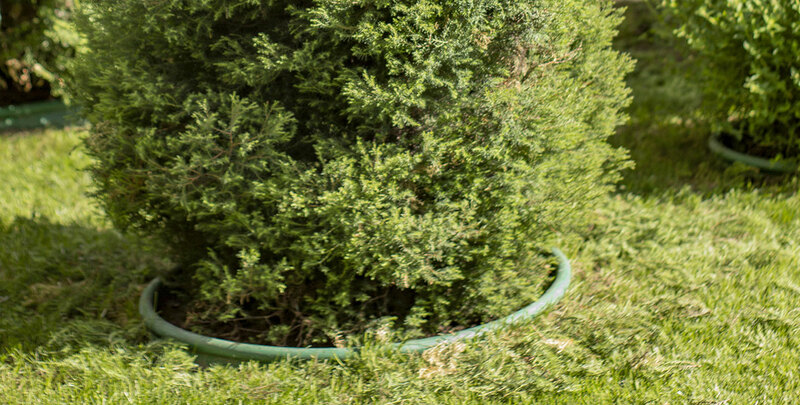 However, it is essential to keep your white cedar ‘Brabant’ hedge in check, because it does not tolerate trimming into old wood and can therefore not be rejuvenated when it becomes overgrown. White cedar ‘Brabant’ is one of the many white cedar cultivars that is highly in demand as a hedging plant today and it is easy to see why. Its appearance is lovely, it is exceptionally hardy and it will last well over a lifetime if you meet its – relatively limited – maintenance requirements. No wonder that it has been called “the tree of life”.